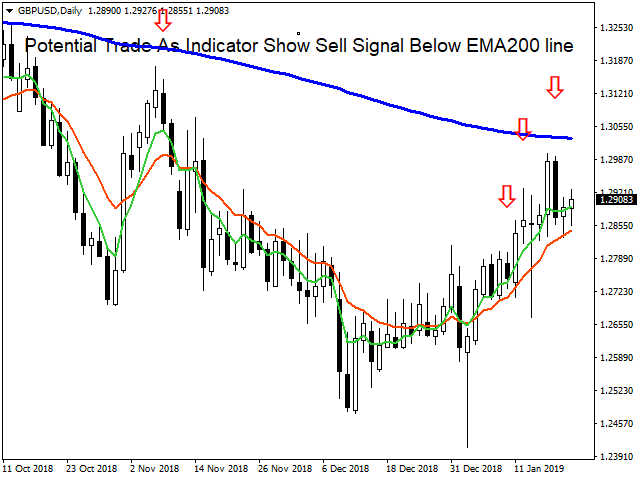 This is BigPips Trades free BigPips Stochastic EMA200 Trend Indicator which shows traders the direction of the market using Stochastic Oscillator, EMA200 and EMA fast and slow moving Average indicators. This indicator may be integrated as part of a Strategy EA. Used to help Traders understand the Trend and direction in various Timeframes. Help Traders understand the Movement of the market in a generally better way. 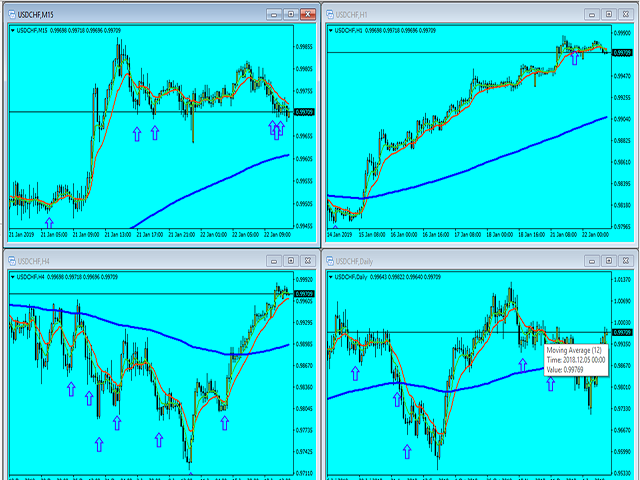 Best way to use the BigPips Stochastic EMA200 Trend Indicator is to observe the trend direction in Various Timeframes. Then the Pattern in The market becomes much clearer. The accuracy of the trend direction arrows may be evident in some time frames and not others. 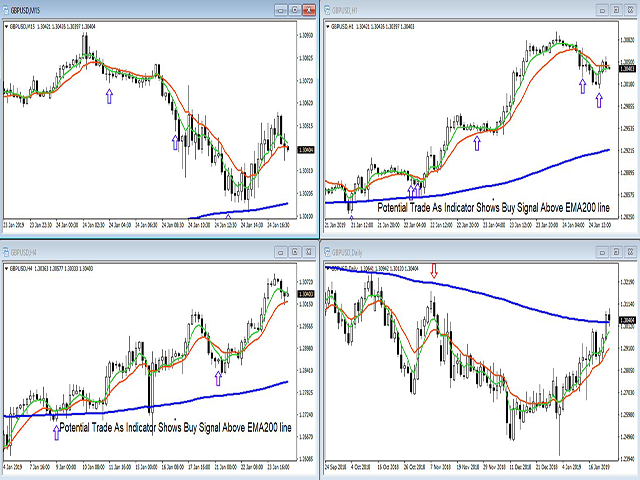 The indicator arrows show potential trade opportunities but is not intended to be used to take every single trades. This is not a complete Trading system and not every signal should be traded. Last but not least Traders must observe when the indicators arrows are showing trading opportunity against the trend. This is usually an indication that a change in Trend direction is imminent.